Твердотельные диски nanoSSD купить | Innodisk в Украине – официальный дистрибьютор компания ХОЛИТ Дэйта Системс. 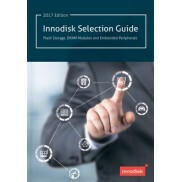 Твердотельный диск nanoSSD 3SE(Industrial, Standard Grade, 0℃ ~ +70℃)Innodisk nanoSSD is an integrated SATA storage device; it offers high performance, light weight, low power consumption and cost efficiency in a JEDEC MO-276(μSSD) standard form factor. 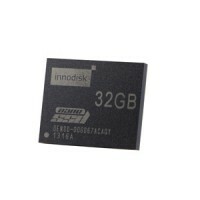 The nanoSSD combines with SATA III Flash contr..
Твердотельный диск nanoSSD 3SE(Industrial, W&T Grade, -40 ~ 85℃)Innodisk nanoSSD is an integrated SATA storage device; it offers high performance, light weight, low power consumption and cost efficiency in a JEDEC MO-276(μSSD) standard form factor. The nanoSSD combines with SATA III Flash controller..
Твердотельный диск nanoSSD 3SE Demo Kit(Industrial, Standard Grade, 0℃ ~ +70℃)Innodisk nanoSSD is an integrated SATA storage device; it offers high performance, light weight, low power consumption and cost efficiency in a JEDEC MO-276(μSSD) standard form factor. 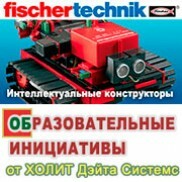 The nanoSSD combines with SATA III Fl..
Твердотельный диск nanoSSD 3SE Demo Kit(Industrial, W&T Grade, -40 ~ 85℃)Innodisk nanoSSD is an integrated SATA storage device; it offers high performance, light weight, low power consumption and cost efficiency in a JEDEC MO-276(μSSD) standard form factor. The nanoSSD combines with SATA III Flash c..
Твердотельный диск nanoSSD 3ME3(Industrial, Standard Grade, 0℃ ~ +70℃)Innodisk nanoSSD is an integrated SATA storage device; it offers high performance, light weight, low power consumption and cost efficiency in a JEDEC MO-276(μSSD) standard form factor. The nanoSSD combines with SATA III Flash cont..
Твердотельный диск nanoSSD 3ME3(Industrial, W&T Grade, -40 ~ 85℃)Innodisk nanoSSD is an integrated SATA storage device; it offers high performance, light weight, low power consumption and cost efficiency in a JEDEC MO-276(μSSD) standard form factor. The nanoSSD combines with SATA III Flash controlle..
Твердотельный диск nanoSSD 3IE3(Industrial, Standard Grade, 0℃ ~ +70℃)Innodisk nanoSSD is an integrated SATA storage device; it offers high performance, light weight, low power consumption and cost efficiency in a JEDEC MO-276(μSSD) standard form factor. 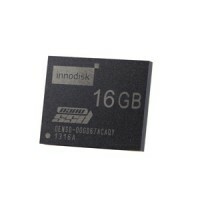 The nanoSSD combines with SATA III Flash cont..
Твердотельный диск nanoSSD 3IE3(Industrial, W&T Grade, -40 ~ 85℃)Innodisk nanoSSD is an integrated SATA storage device; it offers high performance, light weight, low power consumption and cost efficiency in a JEDEC MO-276(μSSD) standard form factor. The nanoSSD combines with SATA III Flash controlle..